City Council Must Appoint "Caretaker"
To finish the final eight months of the term that Seattle City Councilmember Rob Johnson is suddenly quitting , Alex Pedersen, a leading candidate in this year's elections to represent the 100,000 residents of District 4, is calling on City Councilmembers to appoint a highly experienced "caretaker" who will agree not to run for the seat, in order to respect precedent and the democratic process already underway.
" Not only is there a strong precedent to appoint a 'caretaker' who takes the high road and rejects backroom deals by agreeing not to run for the seat, under the new district system and Democracy Voucher program approved by the people of Seattle, the City Council has a special moral and financial obligation to respect the democratic process already underway," said Pedersen. " The City Council must know that there has been a growing lack of trust between the people and parts of their city government and handing this vital job to an inexperienced candidate will cause more damage to the democratic process and our public institutions. I hope we can all agree this is the time for accountability, transparency, and results, not backroom deals and amateur hour." Pedersen, whose campaign has had a strong start connecting with voters directly, has no intention to pursue the appointment. 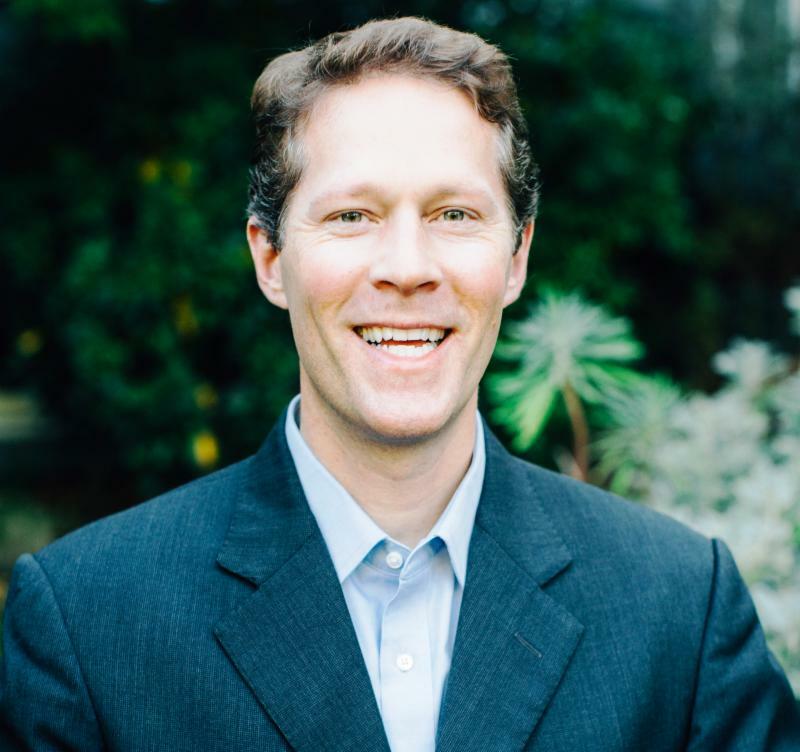 Originally, Rob Johnson made public on January 11, 2 019 that he would join the new company "NHL Seattle" after his City Council term is scheduled to expire December 31, 2019. The private sector position for Johnson, who chairs the Planning, Land Use, and Zoning Committee, could have major implications for land use policies, transportation routes, and city resources -- with a focus outside of his district. Johnson announced today , however, that he is actually leaving in April. Most recently, the Council appointed John Okamoto to finish the term of Sally Clark in 2015 and appointed Kirsten Harris-Talley to finish the term of Tim Burgess (who was elevated to Mayor) in 2017. On March 11, Pedersen called on City Council and the Seattle Ethics and Elections Commission (SEEC) to prevent City Councilmembers from accepting other jobs. That press release is available by CLICKING HERE . Pedersen believes any caretaker appointed by the Council to complete Johnson's term should be highly experienced and make it their priority to enact ethics reform legislation before City Council reviews the next city budget and well before democratically elected Councilmembers take office at the end of this year. Resignations and vacancies are governed primarily by the City Charter, Article 19. ... Sec. 5. VACANCIES; FAILURE TO QUALIFY; ABSENCE WITHOUT LEAVE; DISABILITY: An office becomes vacant on failure to qualify within the time limited by law; upon the death or removal from office or resignation of the incumbent , or his or her removal from or absence from the City for sixty days without leave of the City Council, or upon an adjudication of insanity; by a conviction of drunkenness, by any permanent disability, preventing the proper discharge of duty; or by any change in residence rendering a member no longer eligible for membership in the position occupied or sought, including change in residence to outside the City of Seattle or, in the case of a district position, change in residence to outside the relevant district. HOW FILLED: A. APPOINTIVE OFFICES: If any appointive office shall become vacant, the same shall, except as is otherwise provided in this Charter, be filled in the same manner as if at the beginning of the term, and the person appointed to fill the vacancy shall hold office for the unexpired term. B. MAYOR AND OTHER ELECTIVE OFFICES: If the office of Mayor shall become vacant, the President of the City Council shall become Mayor; provided, that said President may within five days of such vacancy decline the office of Mayor, in which event the City Council shall select one of its members to be Mayor in the manner provided for filling vacancies in other elective offices. If any other elective office shall become vacant, the City Council shall, within twenty days thereafter, proceed to select by ballot a person to fill such vacancy, who shall possess the qualifications required for election to such office ; such selection to be effective only upon the affirmative vote of a majority of all members of the City Council. If any elective office shall not be filled within twenty days after it becomes vacant, the City Council shall meet and ballot at least once each day, excluding Saturdays, Sundays and legal holidays, until such vacancy has been filled. C. PERSONS FILLING VACANCIES IN ELECTIVE OFFICE; LENGTH OF TERM: A person who thus succeeds to fill a vacancy in an elective office shall hold such office until a successor is elected and qualified. Such successor shall be elected at the next regular municipal general election or at a special election held in concert with the next state general election, whichever occurs first, and shall hold the office for the remainder of the unexpired term and until a successor is elected and qualified; provided, should a vacancy in an elective office occur after the filings for elective office have closed for the next regular municipal general election or state general election, no successor for the unexpired term shall be elected until the next succeeding regular municipal general election or state general election, whichever occurs first. Persons elected, succeeding ex officio, or selected to fill vacancies shall qualify within the same time and in the same manner as prescribed for persons elected for full terms. (As amended at November 4, 1969 election.)" 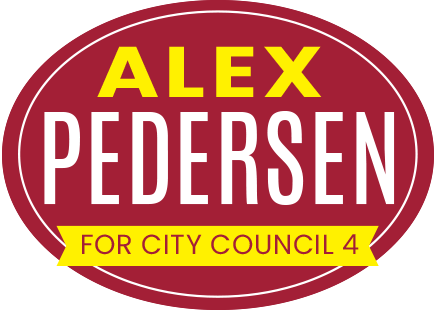 Alex Pedersen, a Democrat, is the first candidate in the entire city to qualify for the city's Democracy Voucher program in this year's Council campaigns and has also been a leading fundraiser as he runs on a platform of accountability, transparency, and results.